I showed you the fruit and nut version of mooncakes last year. This year my oldest uncle's family gave me the lotus and taro paste versions with egg yolk inside. The white "snowskin" mooncake was made by my oldest uncle's wife. 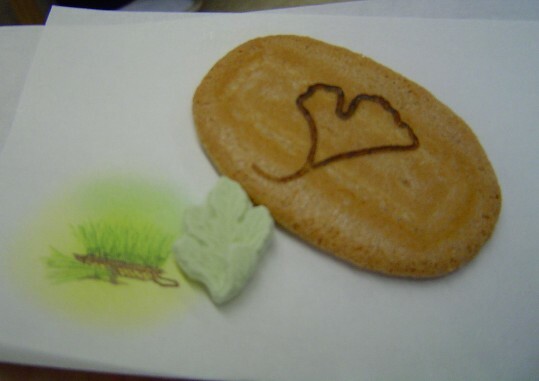 The little taro bun was bakery-bought. It's actually quite pretty but I'm saving close-ups for a separate post. One of my students also gave me these two buns. The one on the left had black sesame paste and the one on the right had a big egg yolk. 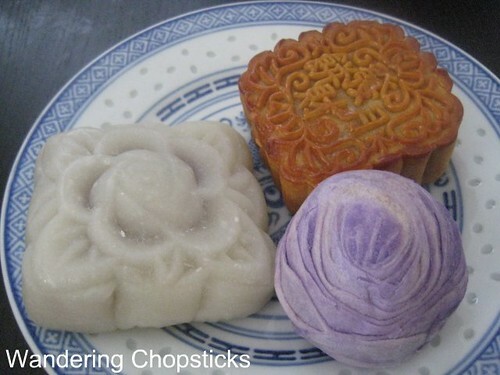 Daphne of More Than Words made snowskin mooncakes if you'd like a recipe. 1 year ago today, 6 of 7 random things about me meme: I collect children's books. Those are grogeous. Works of art really. ps Your entry is up on the No Croutons Required September roundup, along with the voting poll. the taro bun looks really good. i have never seen it before. but then again i have never been a big fan of mooncakes in general. i am going to have to find a place with that taro bun though because i just love taro. I surprisingly ate very little mooncakes this time around (probably better for my pancreas and waist anyways), the lotus seed paste with 1-2 egg yolks is still my favorite. I never quite got the hang of the ice/snow skin varieties. It's like an Asian jello mold, and you can't even seen the stuff in suspension! Nice! I didnt have a chance to eat the flaky pastry type. I like the purple on yours-is that taro as well? Thanks for the compliment and for organizing the round-up. 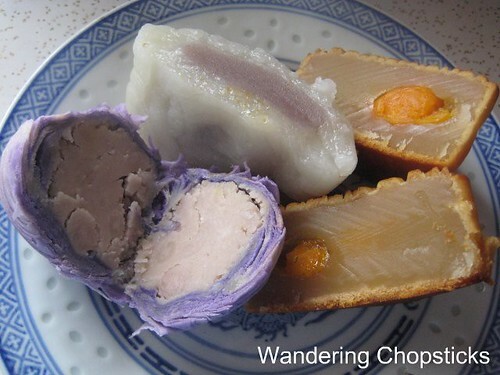 Just for you, I've got a whole post on all the various taro pastries. My favorite is the taro mochi bun from Kiki Bakery. I still prefer the fruit and nut mooncakes. More texture and flavor. This was my whole supply of mooncakes this year too. Yup, both purple ones were taro. Awww mooncake festival has come and gone :( My mom gave me two and I stretched it for 2 weeks (she cut them into quarters and sixths)! If they weren't $6.50 for each one I'd buy more and eat more! $6.50 each! Man, I had no idea they were that expensive. 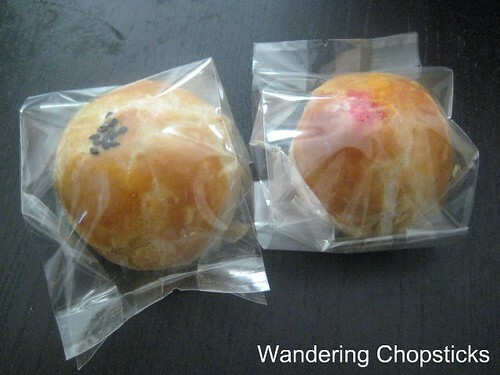 Hi, I know you said the little taro bun was bakery-bought, but do you have a similar recipe or any idea how it's made? It looks just like the one my friend brought me from CA (Domies Bakery) and it's my favorite ever, but I live in TX and Domies does not ship pastries or do mail-order. I am craving them beyond words and would go through the trouble to make some if I knew how! The taro bun was from Domies Bakery. :) I have no clue how they do the layers. They sure are pretty, aren't they? I wish I could help!